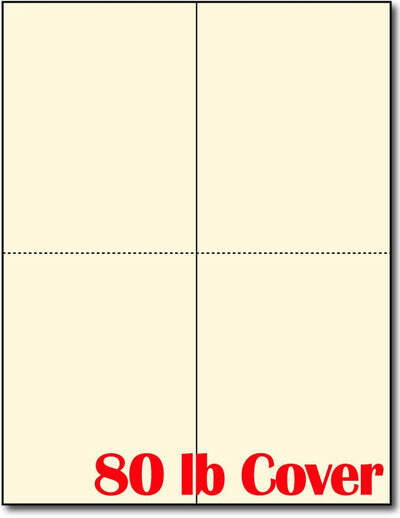 Our two per page blank cream invitations are great for weddings, notecards, invitations, greeting cards, birthday and holiday cards. Make your own cards for all these occasions and more like Graduation, Easter or maybe your next pool party.This product is made from an 80lb cover (216 gsm) Cream cardstock - Inkjet & Laser compatible. While virtually all Inkjet printers accept the paper. Some users might have a problem on Lasers and Color Copiers. Check your manual or ask your local printer dealer about paper thickness.